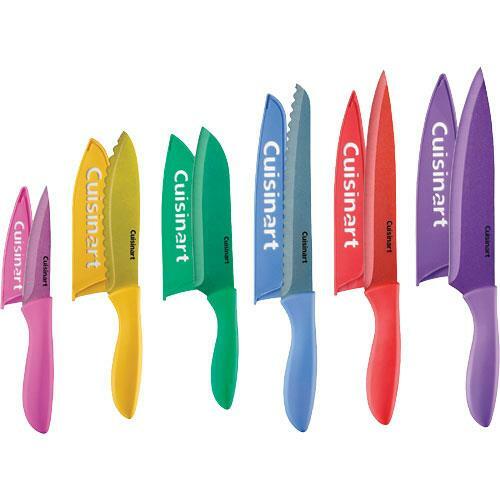 The Cuisinart C77-12PMC is a 12-piece Metallic Coated Color Knife Set which takes precision, style and safety to new level. Crafted for chef-caliber performance with sleek styling to complement any kitchen dcor. Knives are color coded to help prevent cross contamination. The Cuisinart 12pc Metalic Coated Knife has many exciting features for users of all types. See the Cuisinart 12pc Metalic Coated Knife gallery images above for more product views. 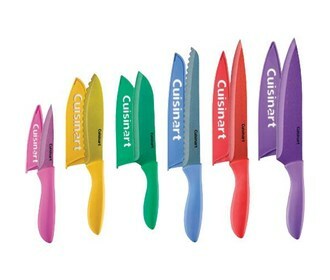 The Cuisinart 12pc Metalic Coated Knife is sold as a Brand New Unopened Item.